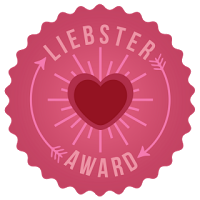 Today I was gifted the Liebster Award and not for crafting intricate lies about lobsters. It is courtesy of Mr. Tony Noland of Verbosity's Vengeance fame. But like all awards it comes with some caveats. Luckily, I don't have to go back in time to kill Hitler with a T-rex (all I have are anklyosaurs'). I have to answer 10 questions and then ask ten more of my next victims, I mean nominees also in the wordsmithing business. Monica Marier - She of webcomic and real life word-in-book fame. She's the yang to my fire I just started on accident, I swear. Sue London - Who's a spinner of entertaining and smile cracking historical romances involving haberdashers. They go to 11. Joi - She crafts adorable My Little Pony dolls and writes realistic science fiction. Now, to the questions you must answer before the first full moon or face the wrath of the shadow ghouls. Is there a character that you were going to kill/write off but something changed your mind? Are you more of a plot/character/idea/throw words against the wall like spaghetti author? What's the stupidest idea you've ever had? What's the best idea you've ever had (writingwise, though if you figured out how to turn wine into gold, I'd love to hear that)? Out of all your settings, which would you most like to live in? What's your biggest writing win? (I'm stealing this one. No one said I was lawful good). Do you have a specific genre or do you like to bounce around freely? Okay, now it's my turn to answer the questions Tony put me too. Strap in, this is gonna get interesting. I mean tedious. Best to stop reading now. Nothing to see here, move along. When did you start writing? The smartass answer is something like kindergarten after I stopped eating the crayon. What drove me to pick up this noveling idea was a contest to win a sword based upon creating fanfiction for a video game series. (totally won a sword, too) You know, just like Hemingway. Has anyone ever actually told you not to quit your day job? People don't like to talk to me in general. It's really for the best. Don't feed the beast. Is there a favorite food you eat that gives you inspiration to write? Cheerios, but only when I'm working on my ghost soliloquies. Do you own an e.book reader, or use e.book software? If so, what kind? If not, do you see one in your future? I do have a Kindle and I have used it to check the formatting of my own books. And I have bitched the one time it had a major hiccup and I couldn't read a book. Telling me to buy a real book will get you sucked into the shadow vortex (see question 2). You're given a book promotion opportunity to sit in a bookstore window and write. People passing by will be able to read your work as you produce it. Do you agree? Sure, though people should be warned I will be talking to myself, grabbing me hair, and occasionally throwing things. Part of the "Why won't you stupid characters do what I stupidly told you to stupid do" process. Is there a crowd/gang/posse/support group of writers you belong to, either in person or online? Not really, there are a few online friends but it is unrelated to writing. I guess there are the 10 of us gathering together to survive this Lets Go Wrimo madness. This is the stupidest way to go about it, by the way. The only people who seem to buy books are other writers. Make all the writer friends! What's your minimum length for a novel? I cannot go under 80,000 words. Even when I think "oh, there's no way it'll be longer than 75K" it'll hit 90K before I'm done. All those jokes eat up time. Can you have a strong opinion about an author's personality, political views, social positions, etc., without having that color your opinion about the author's work? Well it would depend upon if they use that within the work. So much of writing is slicing off a piece of ones soul and stapling it to paper, which isn't to say there are not writers who are aware of their own personal demons and use that. There are no absolutes, except for that vodka I cannot get drunk off. Alien!